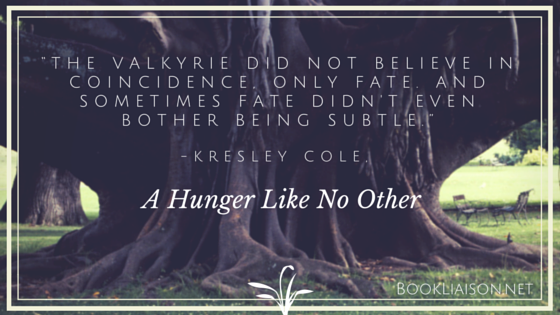 A Hunger Like No Other is a really good book, that hosts a wide array of paranormal characters. The world building is great and is so innovative and unlike other books of this genre that it was a joy to read. Lachlain, honestly (at least at first) I didn't know if I was going to like him or not. He's completely Alpha and after being tortured by vampires and kept at the brink of death for over a century he's so messed up. He doesn't want to accept that his mate is a vampire, even a half-vampire, half-valkyrie, because he hates them so much. He takes his anger out on Emmaline. That dynamic really makes things interesting to say the least, and I think that only knowing his point of view and why he does the things that he does makes it somewhat acceptable. The feminist in me was saying that his behavior is unacceptable no matter what the reasons, but the story was good enough that I didn't really care. Emmaline was so meek at the beginning and it was kind of nice to see a heroine who wasn't as tough starting out. She's been taken care of by a group of fierce women and she actively avoids pain and conflict. 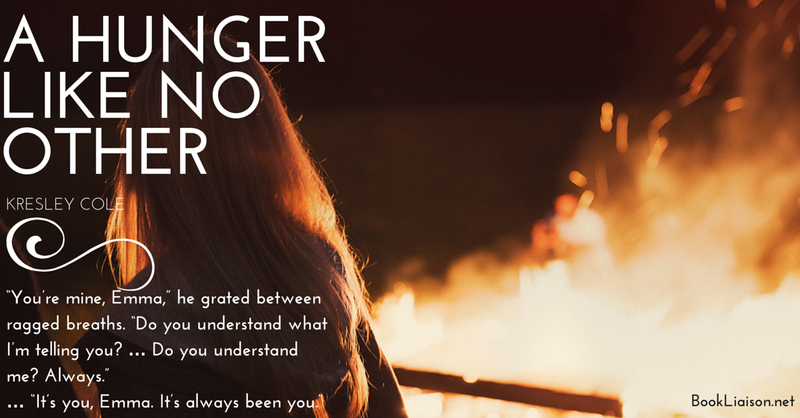 She does grow into her own by the end of the book, but it took a lot of life lessons for her to do so, and it was nice seeing her character evolve. 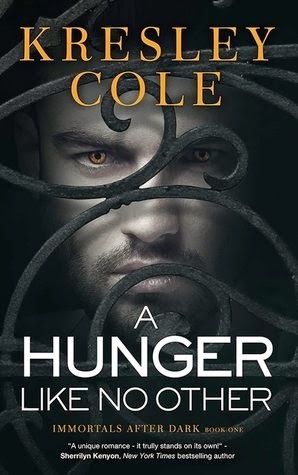 I really enjoyed reading A Hunger Like No Other, I didn't want to put it down. Lachlain might have been pretty scary at the beginning but after being tortured as long as he was it's amazing that he didn't completely lose his mind. I'd been meaning to read this book for a while now, since I've seen it on favorites lists on Goodreads for so long, and I'm happy I finally got to read it. All in all, it was a great read and I'm excited to start the next book, No Rest for the Wicked.